Can Pipelines Drive US Energy Independence? If oil and gas from the domestic shale boom are going to take the US to energy independence, will it be by pipeline, rail, or truck? Production and consumption patterns were at the center of the decades-long development of America’s pipeline infrastructure, which actually dates all the way back to before the Civil War – when some pipes were made of wood… admittedly not the best material choice to transport potentially combustible material. The long-distance, large-diameter, steel pipelines that we associate with today’s domestic energy industry were pioneered in the 1940s to meet the rising demand from World War II. During the post-war economic heydays of the 1950s and 1960s, thousands more miles of pipeline were laid, creating the web-like empire of oil and gas now flowing beneath our feet. An impressive network of energy pipelines still needs some TLC. The pipeline infrastructure has been influenced by production and consumption patterns. But even with this vast, crisscrossing national network, US pipeline capacity couldn’t keep up with recent production hikes from shale fields. The glut created gridlock, which sent crude prices spiraling downward. This was good for refiners with access to Texas and North Dakota stock, sure, but discouraging to producers. 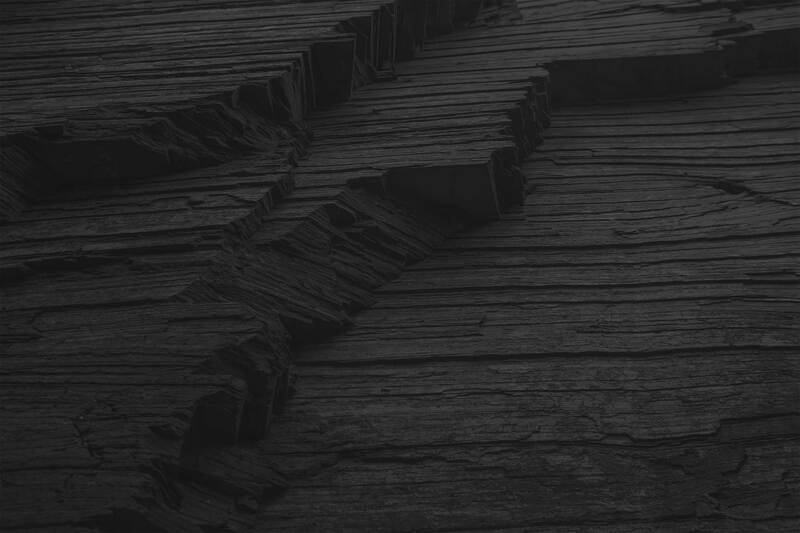 Although some sense of stasis has been restored, if the US is to truly capitalize on the recent production gains in the wake of the “shale gale,” there must be alternative routes. The oil and gas industry can either continue to expand its use of other forms of transportation, or more pipelines have to come on line. 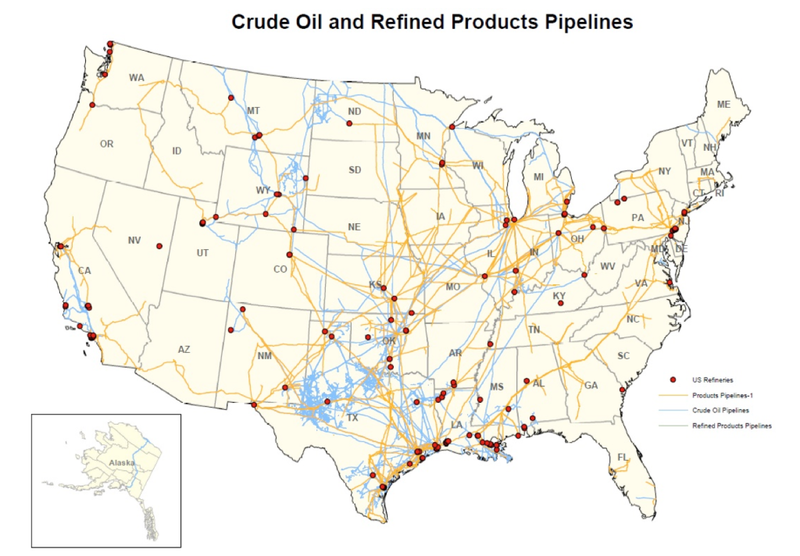 The Plains States, where so much of the nation’s new oil originates, are woefully lacking in pipeline infrastructure. As a result, about 75% of North Dakota’s enormous crude oil production is transported by truck to railcars for the journey to Gulf Coast refineries. But in a state associated with treacherous weather, relying on truck travel can be equally hazardous. If trucks can’t move oil because of heavy snow or icy conditions, price-preserving production declines can occur. And once on-site storage tanks at production sites are full, production stops until the trucks are rolling again. Shipping oil by rail isn’t new. Railcars were the most efficient option when the first American oil boom began in the late 1800s. As pipelines were developed, though, trains generally couldn’t compete on price. As it turns out, rail transportation has become somewhat of a savior for today’s energy industry: because drillers are extracting more oil than pipelines can carry, production companies have returned out of necessity to rail. During 2012, more than 230,000 carloads of crude traveled by train – that’s 23 times more than the 9,500 carloads moved just four years earlier, in 2008. The US Federal Railroad Administration is a strict regulator of all things related to train transportation, and the domestic railroad industry has imposed its own stringent standards on tank cars that exceed federal guidelines. But it takes just one event, like the deadly 2013 tank car explosion in Quebec, Canada, to bring to the forefront the risks of moving oil by train. Even with more oil being transported by truck and train, the US pipeline system remains America’s most important petroleum supply line. The domestic network – all 2.3 million miles of it – transports more than 11.3 barrels per year, about 52% crude oil and the rest refined petroleum products. 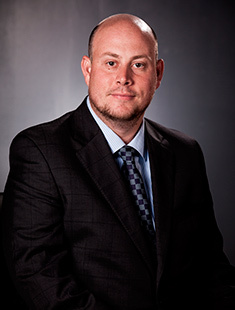 Operators say that the domestic network is the safest, most efficient, and cleanest method of transporting large quantities of crude, and multiple federal watchdogs regulate the system. There’s oversight of construction, safety, environmental impacts, and other operational aspects. Governmental administration even extends to rates: The price of transporting petroleum products through pipelines doesn’t change, regardless of fluctuations in the price of a gallon of gas. Not only is the US pipeline system immense, it’s also growing. Because of the shale drilling boom, it is estimated that 16,500 miles of new gathering lines (the pipelines closest to the wellhead that transport oil or gas to a storage facility or larger main pipeline) will be constructed annually in North America through 2035, for a total of 400,000 miles of new gathering lines in slightly more than two decades. This expansion isn’t happening in just the same old places like Texas, which already has more than 374,000 total pipeline miles. Arkansas, which now contributes 4.1% of the country’s total natural gas production thanks to development of the Fayetteville shale play, has added nearly 700 miles of pipeline in recent years. 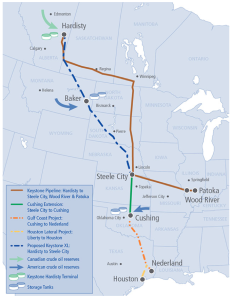 North Dakota’s 600-mile Bakken NGL Pipeline – just completed in April 2013 – is already undergoing a major expansion, from its current 60,000 barrels per day capacity to 135,000 barrels per day by third quarter 2014. An additional three-year, $100 million plan to further grow the system has been scheduled. Pennsylvania’s Constitution Pipeline will carry natural gas from Susquehanna County, which overlies the Marcellus Shale, to New York, where it will connect with existing pipelines. Pending Federal Energy Regulatory Commission approval, the $750 million project will start in April 2014 and be operational 11 months later. And in Illinois, the new Flanagan South pipeline project has been given the go-ahead to cross the Mississippi River. It will stretch nearly 600 miles, from just outside Pontiac, Illinois, through Missouri and Kansas to the Cushing, Oklahoma, hub. Although 600,000 barrels per day of heavy crude oil primarily from Canada’s tar sands region in Alberta will initially flow through it, the pipeline could eventually carry light crude from the Bakken. Flanagan South will mostly parallel the smaller, 60-year-old Spearhead pipeline. Together, the two pipelines together will transport more barrels per day of Canadian heavy crude than TransCanada’s proposed Keystone XL pipeline. Keystone XL Pipeline: Boom or Bust? 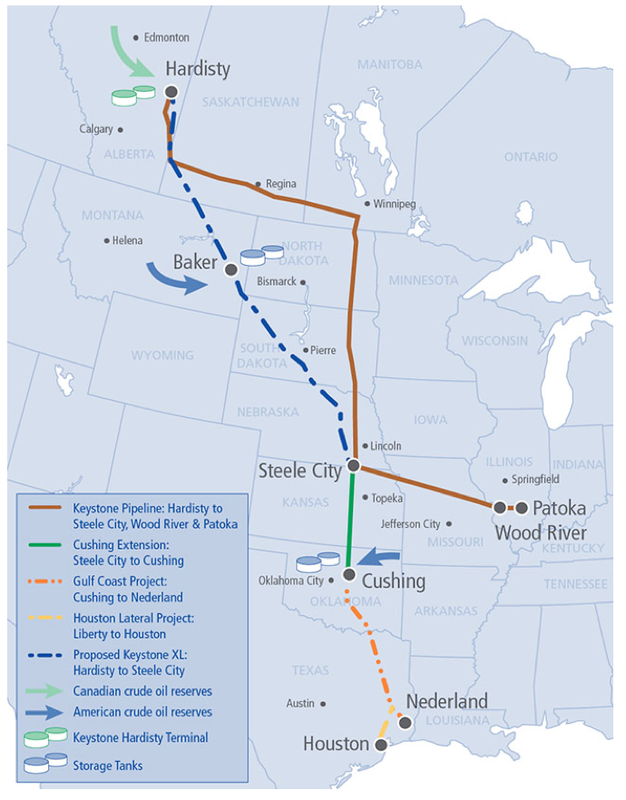 The proposed Keystone expansion project is a massive undertaking. The Keystone XL Pipeline, a proposed stretch of 1,179 miles from Hardisty, Alberta, to Steele City, Nebraska, would move Canadian oil and support US production growth from the Bakken. Along with transporting 700,000 barrels of Canadian crude oil per day to refineries around Houston and the Gulf of Mexico, the $7 billion pipeline would also support the significant growth of domestic production from the Bakken by adding pipeline capacity. It would also add 20,000 jobs – and, perhaps more importantly, lessen our dependence on oil from places like the unstable Middle East and the unreliable Venezuela. Sounds like a good thing, right? Well, it’s no secret that the much-maligned project has been met with a chorus of disapproval from some corners. It represents the granddaddy of all stalled projects. The Obama White House has been one of loudest voices of opposition, questioning its “national interest” and citing concerns about Americans’ health and well-being. Another anti-Keystone XL contingent says that the expansion of oil production in domestic shale fields has already reduced the need for Canadian imports. Environmentalists haven’t been shy, either, about expressing their disagreement. They’re worried that the pipeline will carry oil derived from tar sands, in a process that is dirtier than other forms of oil production and that releases more carbon dioxide. This is despite two government bureaus – the Environmental Protection Agency (EPA) and the Pipeline and Hazardous Material Safety Administration (PHMSA) – reviewing the proposal and voicing no public opposition. The State Department’s 2000-page impact statement also provided no environmental rationale against the pipeline. Nay-sayers also fear that pipelines can rupture, which is an inherent risk. But considering the US pipeline’s safety record – as the Manhattan Institute for Policy Research did – the statistics soundly favor pipelines. The group, which has researched and influenced US economic thought and policy for more than 30 years, went all the way back to 1992 to investigate the US pipeline safety record. They thoroughly examined safety and accident statistics provided by the US Department of Transportation for the extensive network of existing US pipelines, including many linked to Canada. In addition to enjoying a substantial cost advantage, they found, pipelines result in fewer spillage incidents than road and rail. As for personal injuries and fatalities, the group says that the average American is more likely to get struck by lightning than to be killed in a pipeline accident. So what will happen if opponents get their way and successfully block TransCanada’s plans? Just because the pipeline isn’t there doesn’t mean oil and gas will go away. Instead, there will be more potentially dangerous trucks and trains hauling it, with increased demand for infrastructure and maintenance certainly close behind – development that has its own environmental perils. If the pipeline is a no-go, could there be irreparable harm to US relationship with Canada? Experts say that the domestic shortage of pipeline capacity that glutted North Dakota forced down the price of Canadian crude to a point well below American and international benchmarks. As a result, it became considerably less profitable for Canada to export the 2.4 million barrels it sends to the US each day. Canada has invested more than $100 billion in the oil sands over the last decade, and production is already tied to 75,000 jobs nationwide. If the Keystone is not completed, future Canadian oil sands projects may be jeopardized, which will slow that country’s economy. To counter the slow-down, Canada may have to look to other markets. China has already replaced the US as the largest energy consumer on the planet; a planned Canadian pipeline to Vancouver will make satisfying Chinese demand easier. Although the US is on its way to energy independence – we could actually become a net exporter by 2035, according to a recent Energy Information Agency report – postponing the Keystone XL pipeline is simply decelerating our drive. Pingback:	Canary » The Shale Revolution: The Shot Heard ‘Round the World?